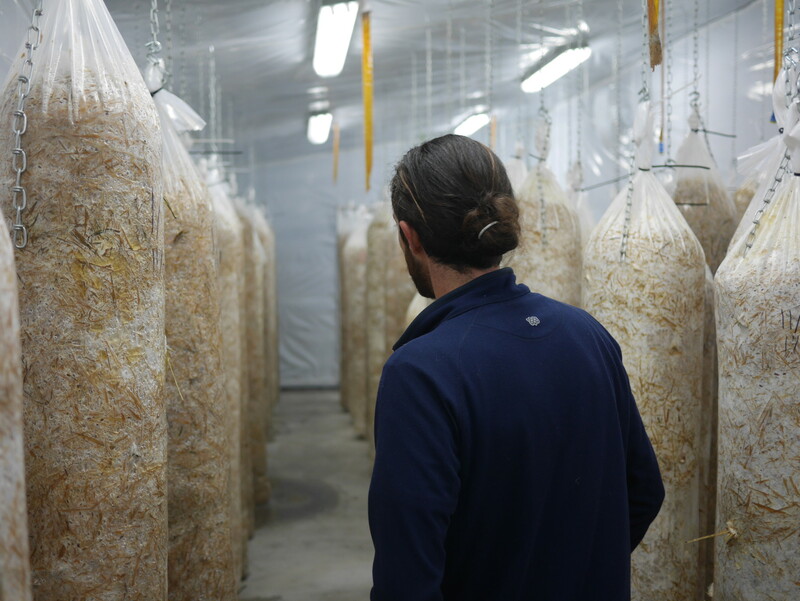 From the minute you meet Joel Rayes, his passion for all things mycelium is clear. What started as a casual interest while working in kitchens several years ago soon had Joel foraging wild mushrooms in the forest and growing cultivated varieties on a small scale for friends and family. As he taught himself the ins and outs of mushroom growing, his hobby evolved into a profession. Eventually, his passion grew into a full-blown mushroom farm. 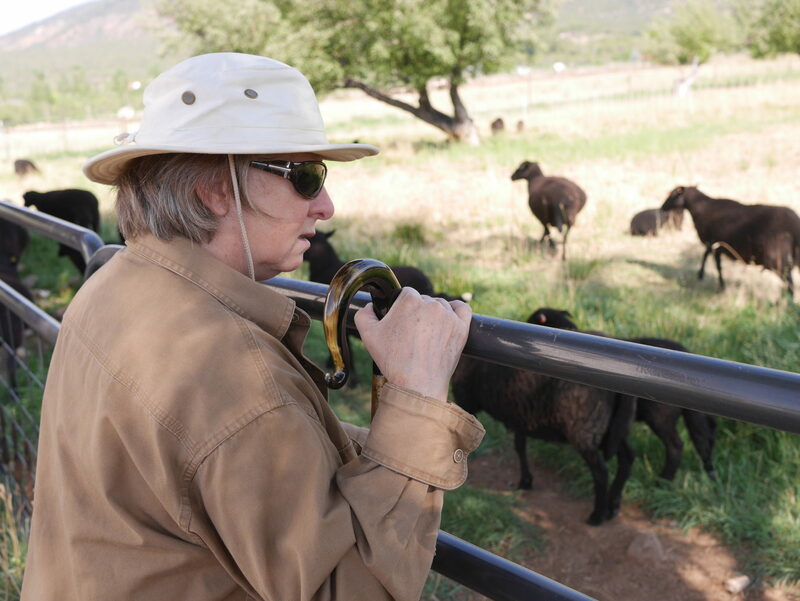 Now, Joel runs Alpenglow Mushrooms on a beautiful property between Montrose and Ridgway, overlooking the peaks of the Cimarron Mountains. There, he grows several varieties of oyster mushrooms through all four seasons. Although Joel has grown many types of mushrooms, he favors Oysters for their flavor, versatility, nutrient content, and medicinal properties. They have the highest protein content of any cultivated mushroom and are a great source of vitamin D. They also have the ability to promote white T-cell growth, support immune function, and are an anti-carcinogen. Oh, and they are gorgeous. As I head into the Alpenglow property, I don’t immediately peg the place as a farm, but a pile of straw bales and a walk-in cooler tell me I’m in the right place. 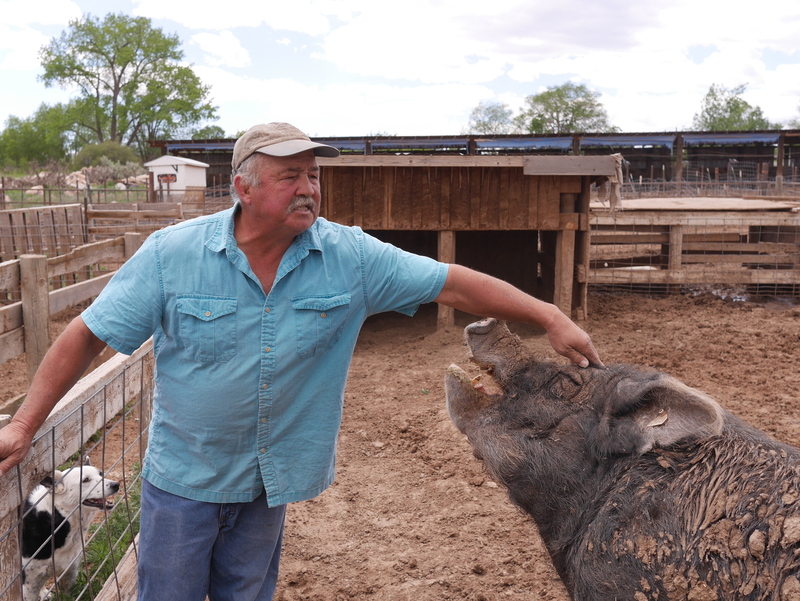 Joel greets me with an enthusiastic smile and gives me a rundown of how his farm works. The way mushrooms grow is totally different than vegetables and remains a mystery to many people–including myself. Giving me a tour of his setup, Joel helps demystify the process. At Alpenglow, it starts with locally grown straw. 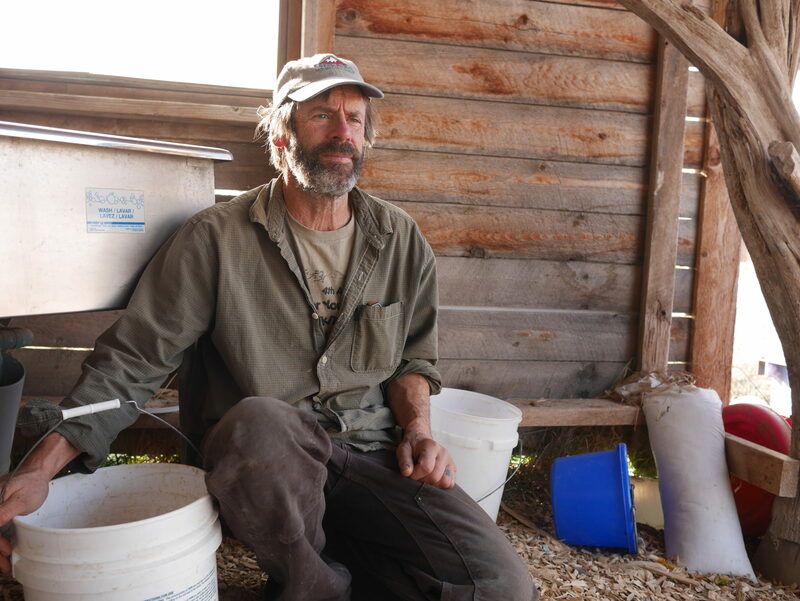 Joel first pasteurizes chopped straw in large drums of water hot enough to destroy possible contaminants and encourage the growth of beneficial organisms. 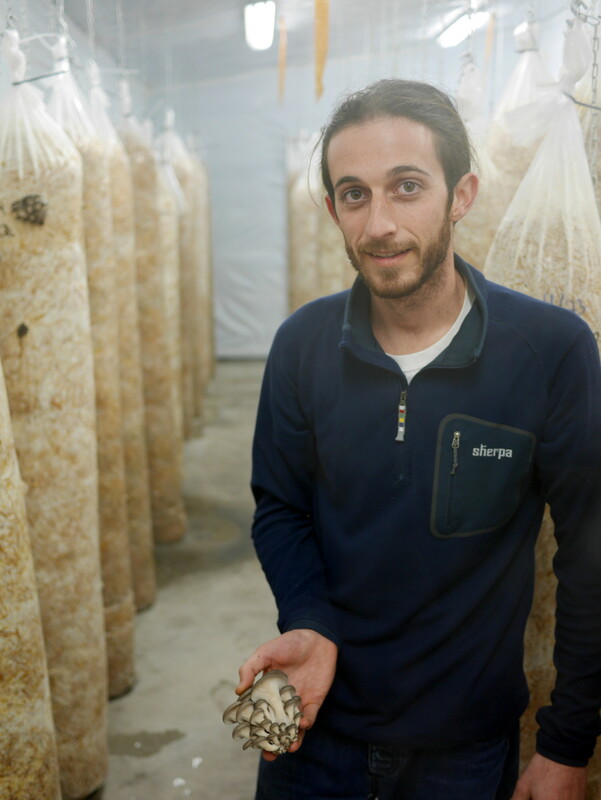 Once pasteurized, the straw is mixed with a “spawn” –in Joel’s case, rye berries that have been inoculated with oyster mushroom spores–and packed tightly into long plastic bags. The spawn acts kind of like the starter in a sourdough bread–providing the initial cultures that will eventually colonize the whole bag. The straw provides the nutrients and space for mycelium (the mushroom “roots”) to spread. The inoculated bags are then transferred to the mushroom house. What looks like a large shed from the outside is the core of Joel’s mushroom production. Equipped with HEPA filters, intake fans, efficient florescent lights, and humidity controls, the simple structure has been transformed into a mushroom factory. Inside, about 90 sacks hang like punching bags from chains on the ceiling. Inside the sacks, the mycelium begins quietly metabolizing the carbon in the straw. As it grows, a white spongy structure takes over the bag. 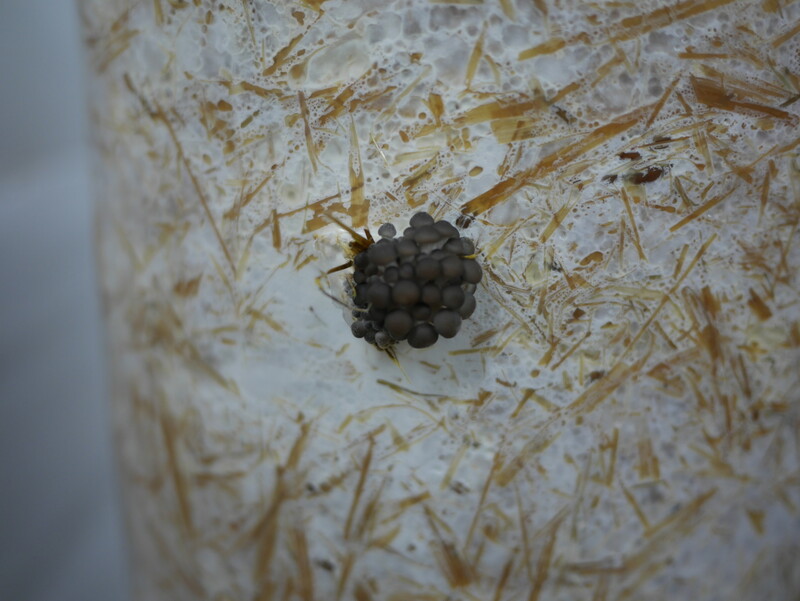 Between nine and twenty days after inoculation, mushrooms develop. Mushrooms are the fruit of the mycelium organism, and they only emerge when exposed to just the right combination of light, temperature change, air, and moisture. Joel monitors the conditions closely and tries to emulate nature in order to encourage the bags to fruit. For example, fans blow air in from the outside, imitating a storm coming in by creating a positive pressure environment. Tiny dark pin pricks emerge from slits in the plastic. Soon enough, those pins blossom into gorgeous blooms of delicate mushroom clusters. Joel, with help from his family, harvest the mushrooms twice a day, seven days a week, to catch them at their peak freshness and shape. Each bag will go through about five flushes of mushrooms and will produce about 6 pounds of mushrooms per flush. 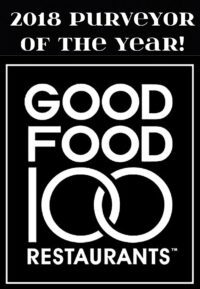 That’s an incredible amount of protein-rich food in a very small space. Joel is equal parts pragmatist and dreamer. 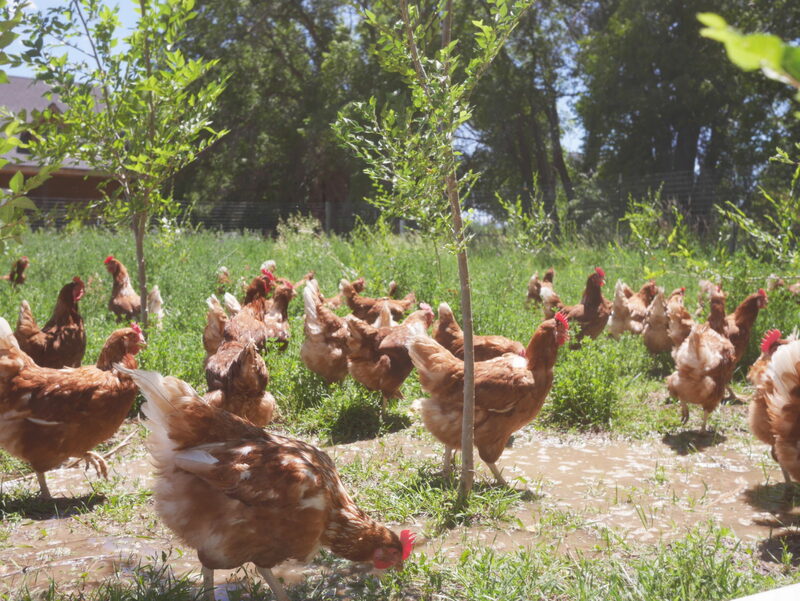 He recognizes that sustainable food production has to be both ecologically responsible and economically viable. Some might see this as a tall order, but Joel knows it is possible. 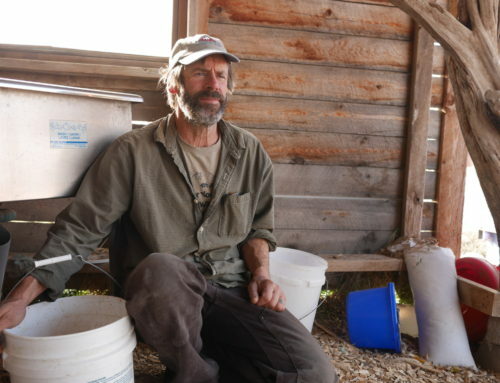 He sees mushrooms as a vital component in a resilient local food system. Alpenglow Mushrooms is just the first phase in a dream to create an edible forest on the property. 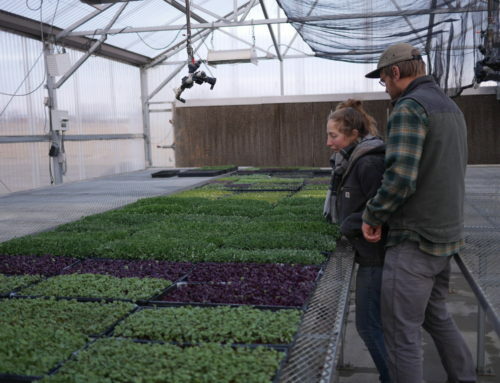 He hopes to grow berries, vegetables, and perennial crops to compliment the mushrooms. 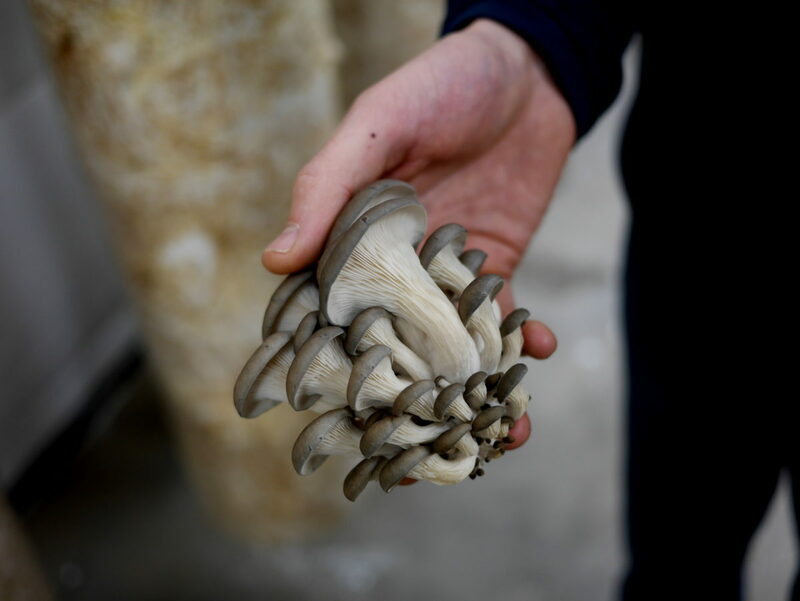 Doing so will help him recycle byproducts from the mushroom growing process (excess CO2 from the mushroom house will be pumped into a vegetable greenhouse. “Spent straw” from old mushroom bags will be composted and used in the garden) and provide more mountain-grown food to the Western Slope. In his spare time, Joel can be found lending a hand at South River Aquaponics, enjoying the mountains, or playing music in his band. You can find his mushrooms year round through Farm Runners and at the Montrose and Telluride farmers markets in the summer.